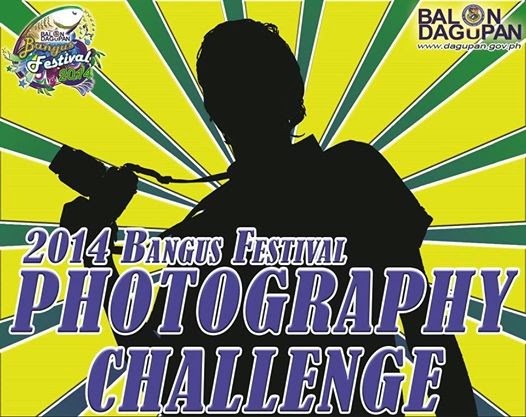 The 2014 Bangus Festival Photography Challenge is open to all photo enthusiasts – amateur or professional (colored and black & white prints) in DIGITAL PHOTOGRAPHY format (includes DSLR, Mirrorless, Point and Shoot and Cameraphones). Registration for participants will open on March 24 until April 21, 2014 at the Bangus Festival 2014 Executive Committee Office, City Museum, Dagupan City. The registration fee is One Hundred Pesos only (Php100) and this entitles each contestant ten (10) entry photos. Photo must be taken from the actual events during the Bangus Fetival 2014 in Dagupan, from April 1- May 1, 2014. For the complete 2014 Bangus Festival Photography Challenge Contest Rules and Guidelines, click here.